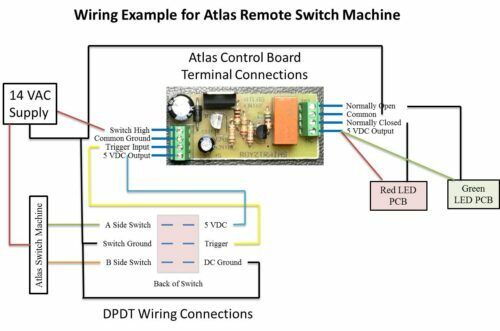 This selection of relays support different configurations able to control up to 15 Amp current with a 12 VDC low level signal. Detailed instructions provide example applications. Supporting 12 VDC supplies are sold separately. 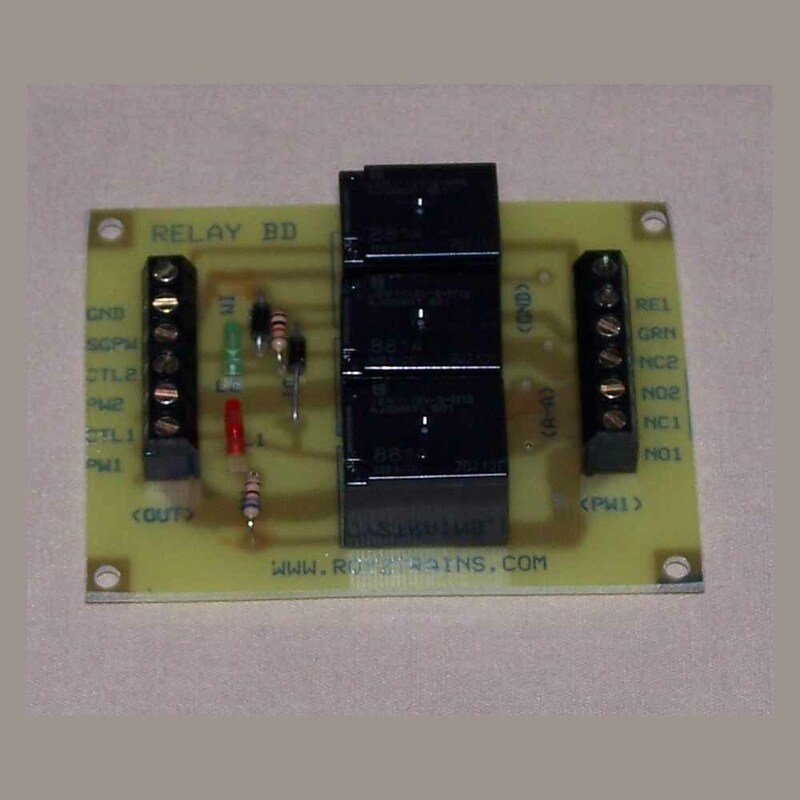 Each of the two possible power relays have onboard LED indicators showing when the relay has been energized. 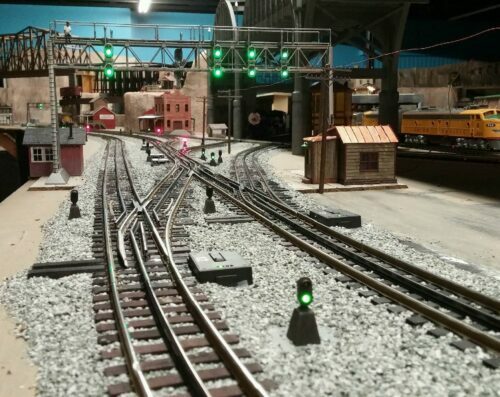 Typical application is to control signal lights along with power to a track section from a remote location. 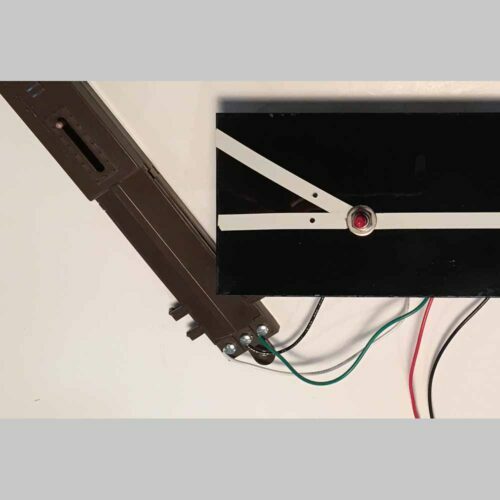 The low level current necessary to control the relay(s) is thus handled using much less expensive, smaller gauge layout wire and miniature toggle switches. 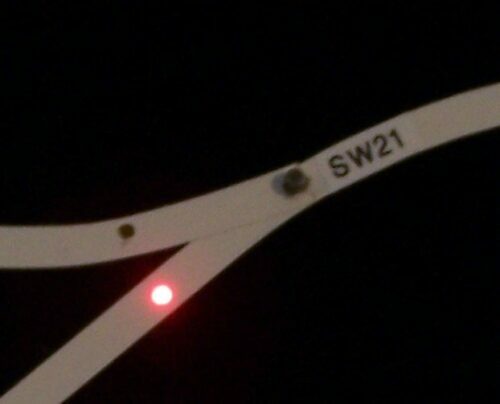 Also offered are occupancy detection/signal presentation, three power relays, etc. Detailed instructions and diagrams are included to help in any of the variations potential applications.